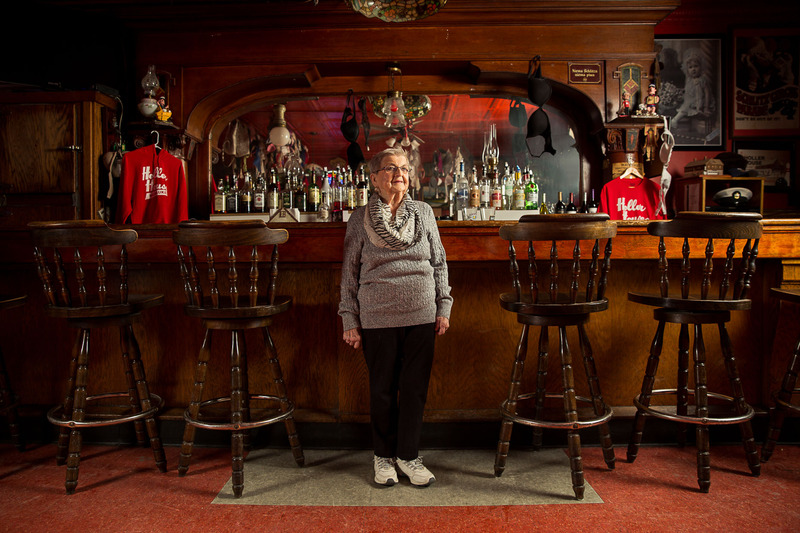 Marcy Skowronski, owner of The Holler House on the South side of Milwaukee Wisconsin, a tavern that houses the oldest sanctioned bowling alley in the United States. Marcy Skowronski, owner of The Holler House on the South side of Milwaukee Wisconsin, is a tavern that houses the oldest sanctioned bowling alley in the United States. Photographed for Edible Milwaukee.